NFL 2018 Payouts are Ready to be Claimed! Great news! 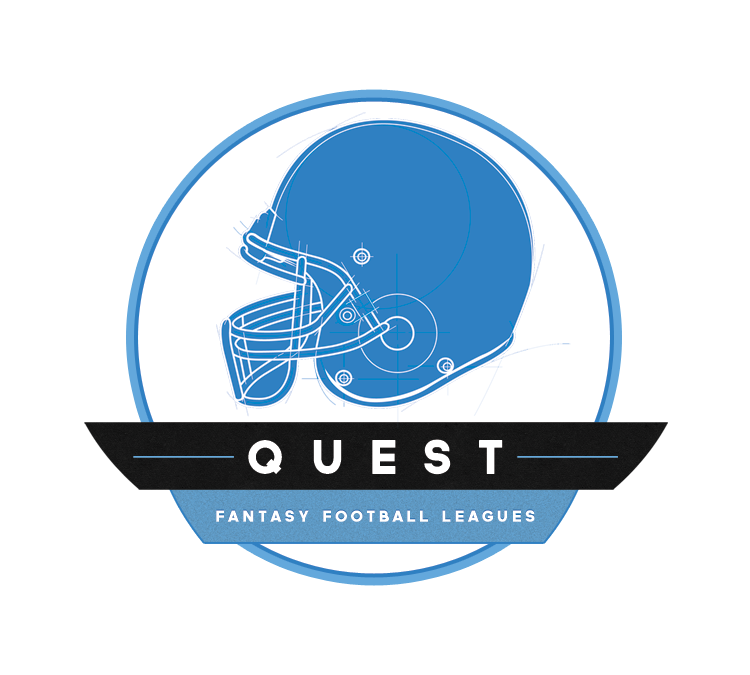 2018 Quest Fantasy Football League winners can now claim their prizes! Please read this email in its entirety, as there are a lot of details and specific instructions on how you can claim your prizes, renew your 2019 Quest league(s) and withdraw your funds. By following the link below and signing in using your existing LeagueSafe account, you will be able to claim the sum total of all winnings across all of your Quest leagues for 2018. For a variety of complicated reasons, we’re unable to issue individual payouts for each league. 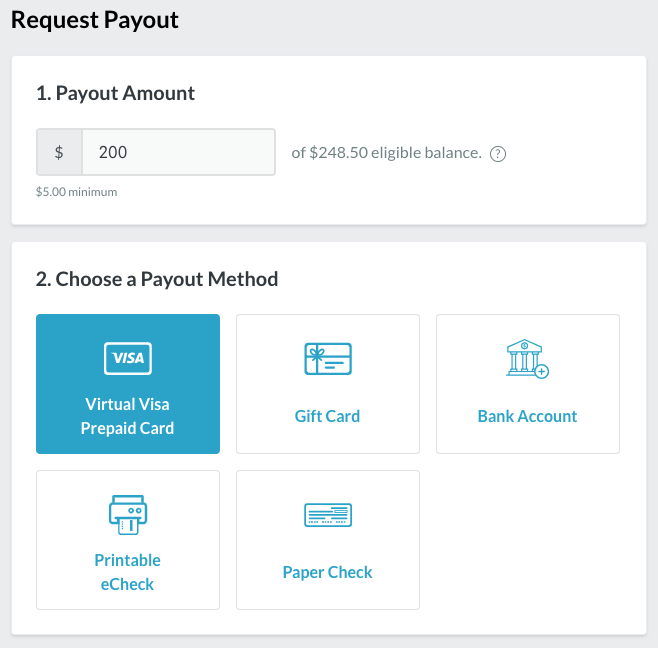 We have records of every payout, if you do not agree with the total payout you’ve received please contact customer service and we can provide more detail behind your payouts, including a list of each payout from individual leagues. Since the 2018 payouts were not issued by us until 2019, you will not have any 1099s issued to you for 2018 Quest prizes. The prizes just issued for 2018 will count towards your net winnings from Quest/Sportshub in 2019. For that reason, if you are claiming over $600 in prizes, you will be asked to provide a W9 to our customer service team before you’re able to claim your prize. Instructions on how to complete this process will be provided on-screen after clicking the above link. If you were a Toilet Bowl winner in any of your leagues, we have already applied your credit towards your 2019 entry fee. You will see all of your 2019 leagues listed on your LeagueSafe account – if you received a renewal credit as a result of being a 2018 Toilet Bowl winner your 2019 entry fee for that league has been reduced to reflect your credit. To renew for 2019 using 2018 winnings, first claim your prizes using the link above, then go to your LeagueSafe account, find the 2019 league you want to renew, and pay into that league using the money that was added to your account when you claimed your 2018 prizes. 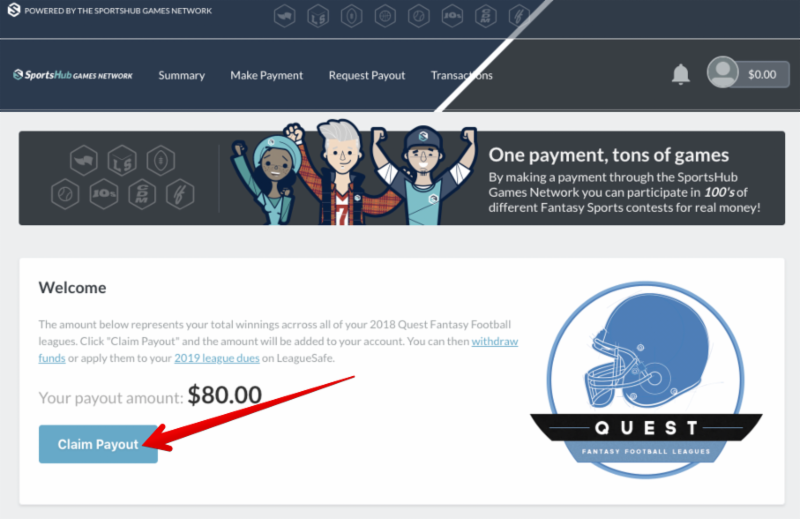 Note that when you log in to pay for your 2019 leagues, you will see that a $7.95 fee has been tacked on to the usual entry fee amount. This is our standard commissioner fee that covers our expenses; MyFantasyLeague fees, merchant processing costs, and state compliance & taxes. For a variety of reasons, we had to just add the fee on to the entry fee for 2019, rather than showing it separately as an “add-on” fee like you may have seen in past years. 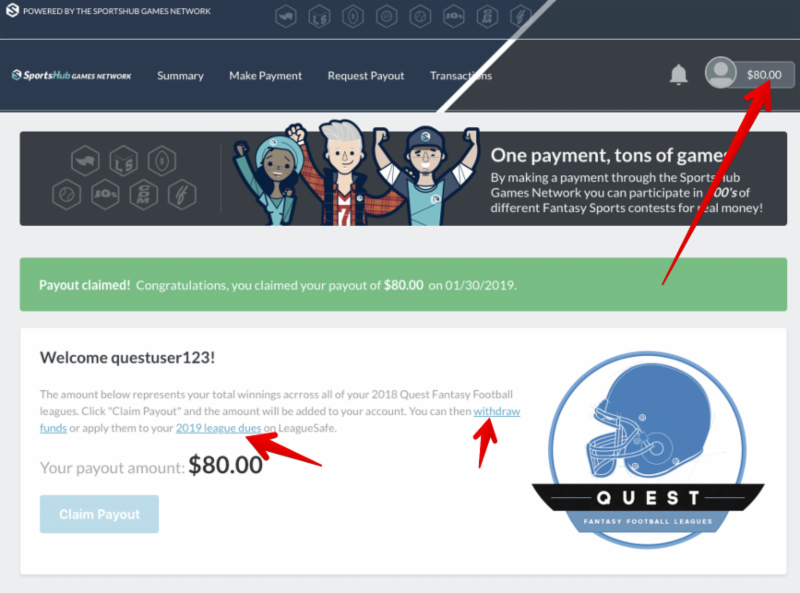 View and pay for your 2019 Quest Leagues from your LeagueSafe “My Leagues” page. Submit a withdrawal request to have your remaining winnings sent to you via one of our convenient withdrawal methods. As a small token of thanks for sticking with us over the past few weeks and to show our appreciation, once you claim your 2018 prizes you will never have to pay a withdrawal fee on LeagueSafe or any of our SportsHub properties again.